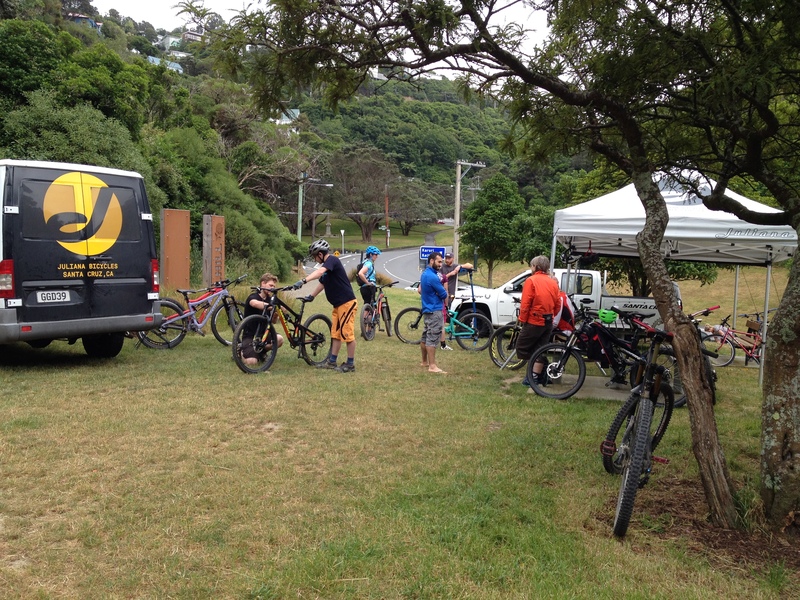 Last Saturday 12 December 2016 Dirt Merchants and Santa Cruz came together to offer up Wellington’s first Santa Cruz test day. The weather played ball and the atmosphere was buzzing. Held in Aro Valley, I went down there and got my hands on Dirt Merchant’s James personal ride, a large Bronson, with a 160 Rockshox Pike up the front and some very wide carbon rims (he looked slightly nervous – who wouldn’t!). The first thing you notice about the Bronson when you ride it is the position. It just feels comfortable and right. Not too high, not too low: it feels like your in the bike, not on it. 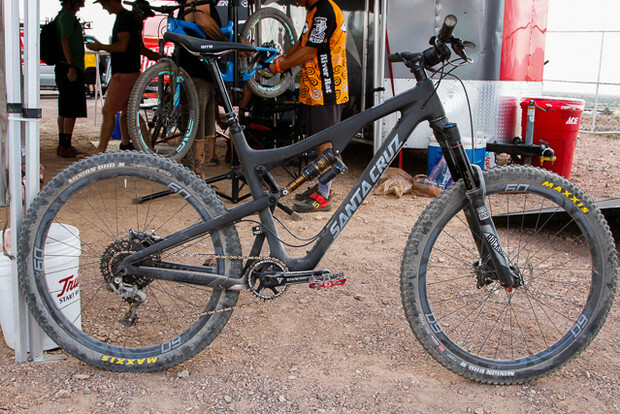 Probably a product of the length Santa Cruz have added on the top tube and the slackened head angle from last year. The second thing you notice is just how nimble it is. For a 150mm travel bike it rockets up the hills, even with the suspension fully open. I just took the bike for a quick lap on a short circuit, but I was pretty impressed. the Bronson is just so playful and willing. It pops over things effortlessly, that would normally have me pulling up hard on the bars. It also felt great through the rock garden on the loop, brushing it off like it was a gravel road. It feels sturdy too, and is almost definitely up for a bit of a beating. In fact I would go so far as saying that the Bronson feels much like the new Specialized Stumpy, but with a bit more attitude. Pricy? Yes, Prissy? no way, this bike means business. What’s not to like about this beast?